I have just learned about the story of a true American patriot. 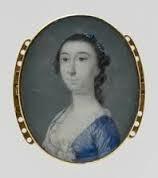 Prudence was born in Dunstable, Massachusetts, and in 1761 she married David Wright. They made their home in Pepperell, MA. Over the years they raised a family of seven while Prudence became known in Pepperell as a leader. Her family favored the patriots as did the others of her town although, in surrounding communities, there were many who remained loyal to the King of England, George III. By 1773 at the age of 33, the American Revolution saw the first sparks of rebellion burst into flame. The Boston Tea Party aroused fervor around Boston. In Pepperell, the women reacted swiftly by burning their tea in front of the meeting house. Two years later her husband, David and the men of their town were organized as Minute Men and ready to be called up at any time to support the rebel cause. The women of Pepperell were no less prepared should their men have to leave their homes and their farms to answer the call to arms. It must have been a shock to Prudence and David to discover that two of their daughters were Tories. Early in the morning of April 19, 1775, word was spread that the British were marching toward Lexington. The Minute Men were roused to answer the call. Prudence learned that there was a direct line of Loyalist messengers through Pepperell to Boston. Prudence marshaled the women of her town to do all they could to impede these important messages from going through to the British. The men had left, and 30-40 women elected Prudence to be their leader. 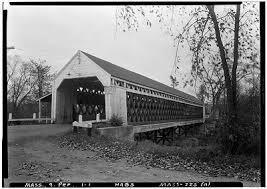 They would dress as men, take what they could find as weapons and meet at Jewett’s Bridge over the Nashua River between Pepperell and Groton, the only crossing for miles. The women knew that the messengers would have to pass this way, so the women vowed to protect the bridge with their lives. It was necessary for the women to remain hidden so incomers from the north would not see them until the last minute before crossing the bridge. The women hid silently throughout the night until some men were seen approaching. At the last moment, Prudence leaped up with her lantern to demand they halt and state their business. Two men rode up. One was recognized as a Tory, and the other man, hearing a familiar voice, said: “Wait, that is my sister, Prudence, and she would wade through blood for the rebel cause!” It was Samuel Cummings, Prudence’s brother. The two men were surrounded and led to a nearby house under guard for the night. The next day they were marched to the town of Groton and eventually given their freedom if they left the colonies. Prudence never saw her brother again. He had been her favorite sibling. Incriminating messages were found on Leonard Whiting. He was taken to the Committee of Safety at Cambridge. There remains a plaque on the famous bridge to this day reminding us of Prudence’s brave role in the Revolution.